The NBA regular season is over and the playoff picture is all locked up. In the West, the Oklahoma City Thunder secured the No. 8 seed with wins over the Detroit Pistons and the Los Angeles Lakers last week. In the East, the Pistons and the Orlando Magic finalized a secure two-game lead with three games left to play over the Miami Heat and the Charlotte Hornets. The Detroit Pistons, Brooklyn Nets, and the Orlando Magic all finished within two games of each other, in a largely inconsequential fight for seeding. It’s unlikely that the tertiary seeding in the Eastern Conference playoff picture will have any impact on the eventual outcome of the playoffs; the top three seeds in the Eastern Conference, the Milwaukee Bucks, Toronto Raptors, and Philadelphia 76ers, are by all measures, far superior teams and will win their first-round matchups. The Milwaukee Bucks have the highest Adjusted Net Rating, a measure of the point differential per 100 possessions of the team, according to Basketball Reference with Toronto not far behind at fourth, well above the 14th-16th ranked Magic, Heat, and Pistons respectively. The 76ers have only the eleventh Adjusted Net Rating in the league, but that can be explained away by the numerous monumental offseason moves they made, offloading about half their team over the course of the season in order to bring in Jimmy Butler, a four-time All-Star from the Minnesota Timberwolves, and the scoring leader for the Los Angeles Clippers, Tobias Harris. Conversely, in the bottom of the West, the Oklahoma City Thunder, after a disastrous final month of the season, managed to fight themselves out of the No. 8 seed and into the No. 6 seed in the past week, with wins against the Pistons and the Timberwolves. Buoyed by MVP candidate Paul George and the 2016-2017 MVP Russell Westbrook, the Thunder are a much more dangerous team than their record might present as evidenced by their top three adjusted defensive rating, and top ten adjusted net rating. The Western Conference playoff picture is more interesting than the East, where the top teams are expected to roll relatively comfortably. The Denver Nuggets, the No. 2 seed, is a young and very inexperienced team. While their regular season performance was outstanding, a matchup with one of the bottom four seeds in the West could be more competitive than it should be. While the better teams in the league are fighting it out to compete for the championship, another class of struggling teams are in competition for lottery odds and the chance to secure Zion Williamson in the 2019 NBA draft. Due to recent changes by the NBA League Office, lottery odds have been flattened across the board in order to decentivize deliberate losing, or tanking. Now, the bottom three NBA teams in the league by record have an equal, fourteen-percent chance of landing the top pick, while previously the team with the worst record in the league had a leading 25% chance of landing the top pick. Despite Duke’s early loss to Michigan State in the NCAA tournament, Zion Williamson remains the top prospect in this year’s draft, as he seemed to somehow elevate his play during the tournament despite underwhelming performances from his teammates, R.J. Barrett and Cameron Reddish who also figure to be drafted in the top five. Zion as a prospect is a generational athlete, as he packs 285 pounds of pure explosiveness into a 6’7 frame and has captured the nation’s attention through his monstrous dunks, and highlight reel plays. His one question mark is his outside jump shot, which, to be fair, in today’s jump-shot heavy NBA, is the most important skill a prospect can have. 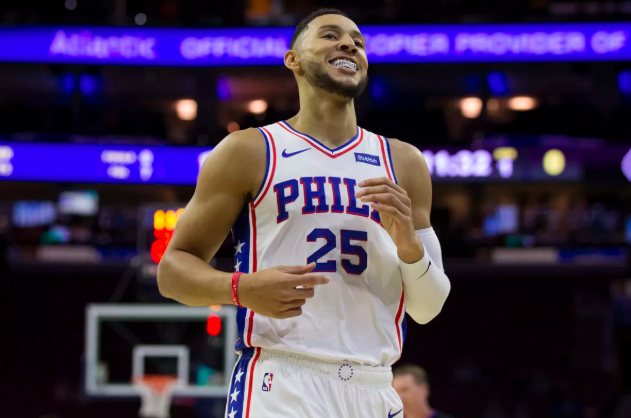 With that being said, recent successes like MVP favorite Giannis Antetokounmpo of the Milwaukee Bucks and Ben Simmons of the Philadelphia 76ers have shown that freakish athleticism and skill can overcome the lack of a jump-shot. The teams that are likely in contention for the top pick are the New York Knicks, the Phoenix Suns, and the Cleveland Cavaliers, the teams with the NBA’s three worst records. The Phoenix Suns have a young and talented squad, led by Devin Booker, one of the NBA’s premier young scorers and Deandre Ayton, the number one pick in the 2018 draft. Zion Williamson would slot in next to Ayton as likely the power-forward, and would provide the Suns would a trio of potential future starts with Booker and Ayton alongside developing roleplayers in Josh Jackson, Kelly Oubre Jr., and Mikal Bridges. The Cleveland Cavaliers are still recovering from losing LeBron James last offseason, and a player like Zion Williams could be an analogous moment to drafting James in the 2003 draft. The Cavaliers have had a streak of ridiculous lottery luck, earning two other number one overall picks since the LeBron pick, with Kyrie Irving and Andrew Wiggins. Pairing Zion with the thirteenth overall pick from last year, Colin Sexton, would be interesting, but would potentially lack the outside shooting to compete with better teams in the league. Zion’s other probable landing spot is in Madison Square Garden with the New York Knicks, who, after trading away Kristaps Porzingis to the Dallas Mavericks, have a blank slate to work with going into the offseason. The Knicks have been connected to both Kyrie Irving and Kevin Durant as a free-agency destination, as through the Porzingis trade, they’ve freed up the salary cap space for two max free agents. While extremely unlikely, the prospect of a Durant, Irving and Zion trio in New York next year would a be a tectonic shift in the power structure of the league, and would single handedly lift the Knicks out of the basketball purgatory they’ve occupied since the 90s. After the draft ends, teams move into the free agency portion of the offseason, where notably, expensive and top-tier All-Stars receive contracts worth close to 100 million dollars and rotate teams, alongside more subdued signing of role-players and undrafted rookies. The free agency period promises to be uniquely interesting, given the sheer abundance of stars that are hitting the free market, including Kevin Durant, Kyrie Irving, Klay Thompson, Kawhi Leonard, and Jimmy Butler. While Klay Thompson is expected to re-sign with the Golden State Warriors, Kevin Durant has been more non-committal regarding his offseason prospects. Rumours are amidst regarding his potential move to cities like New York or Los Angeles, and his desire to lead his own team, rather than persist in the shadow of Stephen Curry in Golden State. Kyrie Irving, while at the start of the season seemed to be committed to the Boston Celtics, has backed off of that stance throughout the season, as the Celtics have experienced regression across roster. In February of 2019, Marcus Smart mentioned, “it’s not fun,” in regards to the season. Kyrie Irving has been linked with Kevin Durant in New York by the sportsmedia, as well as in Los Angeles with his longtime teammate LeBron James. Jimmy Butler and Tobias Harris both hit unrestricted free agency this offseason, and their departures would prove a huge blow to the Philadelphia 76ers organization, who traded a large portion of their assets earlier this season to acquire those two players. Tobias Harris is currently expected to stay, while Jimmy Butler’s prospects are more up in the air. Perhaps the most important free agent of the offseason, Kawhi Leonard, has quietly put together a remarkable comeback season in Toronto after missing most of last year with an injured right quad. Kawhi leaving would monumentally shift the NBA landscape, as any team he moves to would instantly become a contender for the championship. While the NBA regular season is ending, the real excitement is about to begin. The playoffs will be the first in fourteen years to not include LeBron James, and consequently, the first NBA finals in eight years to not include LeBron James. LeBron’s absence will define the 2019 playoffs and will provide an opportunity for other stars to assert themselves on the national stage, specifically in the Eastern Conference. WIth LeBron’s departure from the East, a quartet of potential championship contenders have emerged at the top of the conference who all look to be the Warrior’s largest threat to the first three peat since Michael Jordan’s Bulls in the 1990s: the Milwaukee Bucks, the Toronto Raptors, the Philadelphia 76ers, and the Boston Celtics. While the top of the Eastern Conference may be more competitive than the top of the West, with the exception of the Warriors, the Eastern Conference falls off quick after that, as the bottom of the Eastern Conference playoff picture with teams like the Detroit Pistons, and the Orlando Magic, wouldn’t sniff the playoffs if in the competitive West. Following the playoffs will come the NBA draft and free agency, and consequently the annual offseason re-juggling of teams. The NBA is a year long enterprise, and we’re about to enter the most exciting moments.